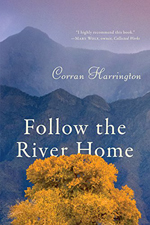 Corran Harrington is the 2017 Benjamin Franklin Gold Winner for Best New Voice: Fiction (Independent Book Publishers Association – IBPA) for Follow the River Home. The book was also a 2016 Finalist in the New Mexico-Arizona Book Awards in categories for Fiction, First Book NM, and Cover. Harrington is also a Pushcart Prize nominee, a Bosque Fiction Contest finalist, and a New Millennium Writings Award semifinalist. Follow the River Home, published by Arbor Farm Press (April 2016), was a Hidden River Arts international writing competition finalist, and a 2013 Santa Fe Writers Project fiction finalist. Harrington’s short stories (also published as Connie Harrington) have appeared in Rosebud (two stories), Beloit Fiction Journal, Connecticut Review, Yemassee, The MacGuffin, Pennsylvania Literary Journal, Bryant Literary Review, ByLine Magazine, American Literary Review, Hawaii Review, Steam Ticket: A Third Coast Review, Oasis, The Jabberwock Review, and The Pikeville Review. An essay was published in Think Journal, and an excerpt from Follow the River Home was published in bosque (the magazine). 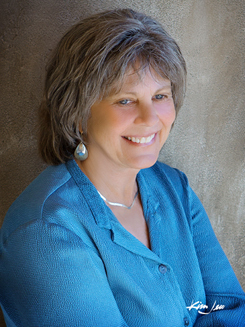 A former lawyer, Harrington also has a background in cultural and linguistic anthropology. She lives in Albuquerque, New Mexico.